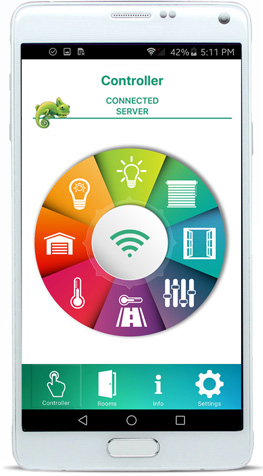 The Kameleon building automation system can be downloaded freely and operate through an IOS or Android application from a smartphone or tablet. 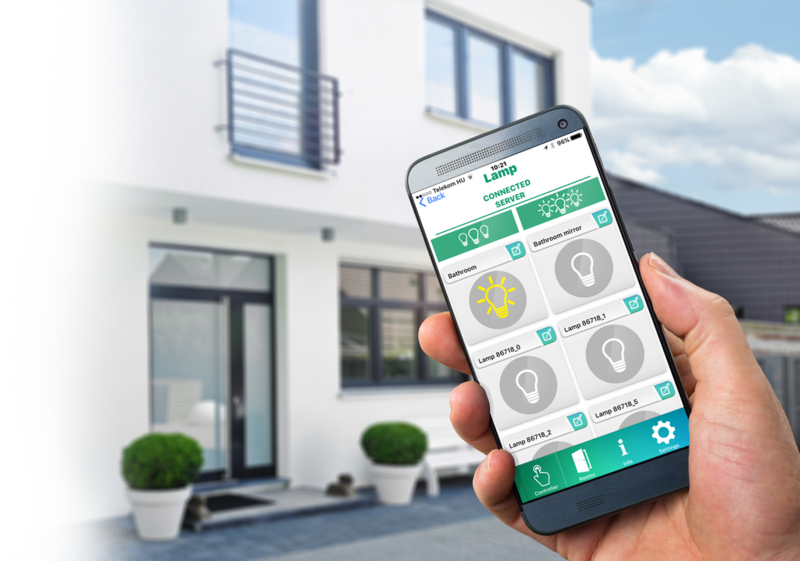 With the help of the application the user can control his home anywhere in the World, with the help of the distant access service. The application connects completely automatically to the system, so it will not cause any difficulty or additional cost to the user. 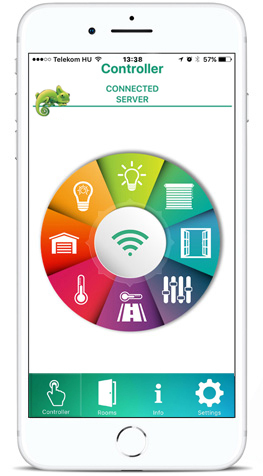 Levelly separated group operations can be set up from the application, so all lights or shutters can be controlled by pressing a single button. Controls can be separated for each room within the application. So, the given operations can be easily identified. The room numbers can be individually set, named and icons can also be chosen for each room. For safe operation, the control system can be secured with a PIN code to prevent access of unauthorized persons. Each output can be individually named for transparent operation. For the functioning of the application, the Kameleon module needs to be completed with a WIFI or Bluetooth module (if the system consists of more modules then one is enough), through which the system is able to communicate with the phone.In case of Bluetooth operation, the phone is communicating with the Kameleon System through Bluetooth connection. In case of WIFI communication, it is possible to use the local network (simultaneously with 4 applications) through the built-in router in the building or with distant access through the server of the Kameleon System.The building can be controlled from anywhere in the World with the distant access through the Internet. Besides, the WIFI module can function as an `access point`, through which the phones can automatically connect to it. The use of distant access service requires registration. In theory, unlimited number of users can operate the building if they have permission to do so. In addition, it is possible to operate more buildings within the application.